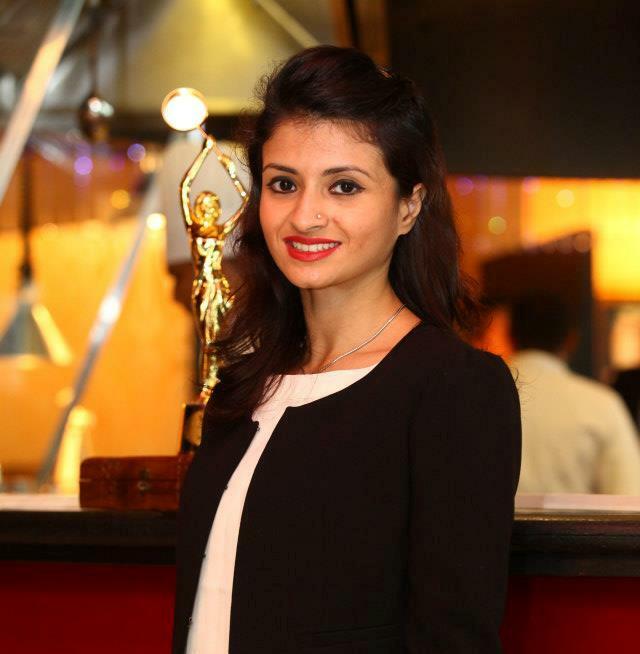 I have known Shubhojit Kumar Ganguly, a media consultant based in Kolkata, for years and I have met Samah Hamza Junaid, a marketing and PR professional working in the hospitality industry in Dubai, through blogging. Both have done something in their life which many of us would laud but when it comes to doing it ourselves we might end up having second thoughts about it. 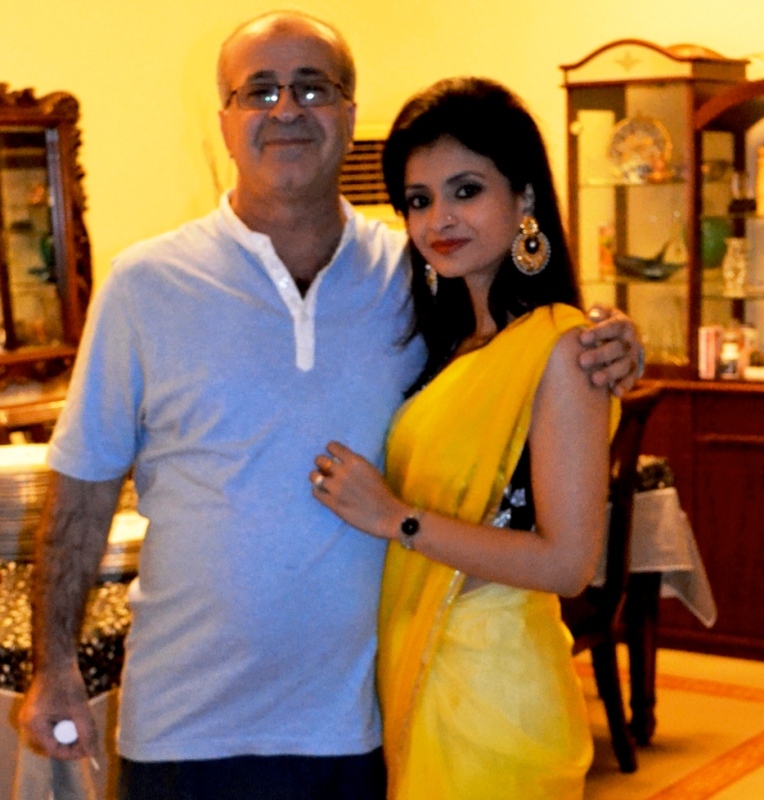 Samah, the daughter of a Bangladeshi mother and Palestinian father, donated her kidney to her ailing father when she was just 24. It’s been three years since then and Samah says: “Organ donation is beautiful and people need to do away with misconceptions and fear associated with it.” Samah has written about her entire experience in her blog A Day In The Life Of ME. Some cynics might say what is the big deal about donating your organs when you are dead? But I would say it is. Because when you are doing that, you are surmounting age-old superstitions and religious beliefs, not something everyone can easily do. That’s why Aishwarya Rai’s failed eye donation campaign in India is a sure pointer to how most people think and that is why so many people die every year waiting for a donor. How did your father react when you told him you would give him your kidney? His initial reaction was silence. I convinced him that I will be okay by showing him websites that educate people on the beauty and simplicity of organ donation and explain how it does not impair your lifestyle. But he was still worried. Then I asked him, ‘What would you do if you were in my place?’ He answered in a heartbeat that he wouldn’t think twice, given the same circumstances and he would give all he had if required. And people around you…what was their reaction? People around me were shocked, some by the thought of a young girl putting her life at risk and some by the generosity and extent of my courage. Some people even made my parents feel guilty by asking them how they could accept my donation. I politely smiled at everyone, who volunteered to find a good donor so that I would not have to donate. They couldn’t find anyone. Today the same people (family/friends) praise me for my ‘courage’. Now that they see the normal and active lifestyle I am leading, I am pretty sure they are gradually putting all organ donation myths to rest. Did you have to make any lifestyle changes after the donation? There have been no lifestyle changes at all. I have always been very cautious about my health, eating the right kind of food and exercising six times a week. Having one kidney to do the job of both, I would say I am extra cautious now in terms of not slipping on my fitness goals. I still have my cheat days and over-indulge, but most days I maintain the same healthy lifestyle that I did, prior to the surgery. The only possible change would be getting annual health check-ups done to keep a tab on my numbers. Thankfully I have not. Rather people say that I have earned a place in Heaven. However, I really think there is a lot more to achieve, correct and repent for in this world to make it there. What is the greatest satisfaction you have got out of your donation? The greatest satisfaction out of my donation would be my father’s smile, his energy and him brimming with health and guarding it as though he has something precious. Also, I have come out as a stronger person, nothing scares me anymore – needles, pins, tattoo, cuts, bleeding, pain. Also, it has taught me to be more compassionate. Initially what I did was just out of love for my father, but now the act has opened my eyes. If you can add years to someone’s life and God has given you that power, then why not? I admire, salute and respect people who go out of their way and donate to non-related patients. Would you encourage others to donate? Others should do it only if they are completely sure they can, have acquired enough knowledge about the process and are not scared about it. We can get over our fears at times and at times we can’t. That’s normal. But if you really want to contribute, don’t let anything hold you back, listen to your heart. What transpires is a beautiful miracle – a gift of life. Would you pledge your organs for use after death? I want to pledge my eyes. I would love to bring light into one person’s life. What does it mean to have a donor card? 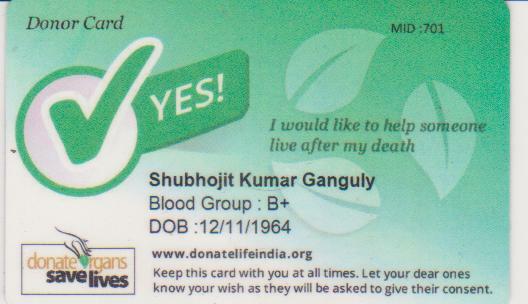 Having a donor card helps in making people aware of my wish to donate. It will also hopefully help in resolving any issues that people have after I die. I have also asked that my body be donated for medical science. That would help in reducing pollution and carbon footprint as there would be no need for cremation. Many people talk about organ donation but never manage to take the step. What was your push? I was worried that people might not realise the seriousness of my wish. What procedure did you have to go through in order to donate? I have not donated as yet so I don’t know the procedure. For registering as a donor, I did it online. Absolutely. If someone really needs my kidney and I am a match I will not think twice before donating. After your death how will one ensure that your organs reach the right people? There are no right people or wrong people. I just hope that young people get it. My job is to donate and who gets it does not make me anxious because hopefully I will be happily dead then. Why do you think people have a mind block about organ donation? I think religion and the greed to go to Heaven are the two main reasons for which people do not donate. This is also one of the main reasons why most of the criminals and corrupt people are highly religious. Do you know anyone who has done the same like you? No. But, I hear of a lot of people looking forward to doing so, especially after they are a few pegs down. It is perhaps because we become nobler then than when sober. What satisfaction did you get out of donating your organs? I haven’t thought about this actually. I will be dead, remember! great…. I have a regret that I can not donate my blood due to anemia. Now I can surely donate my body after my death. 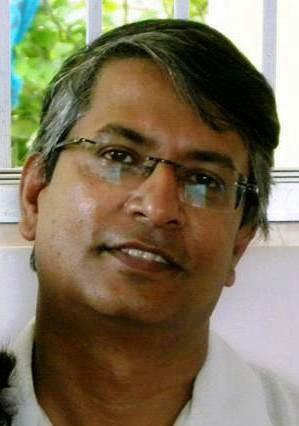 Though my three organs had been removed due to severe illness.. but other body parts like eyes, kidney etc can be useful for a person who is alive after me. I lives in Kolkata. Where do I go for to donate my body? Please guide.